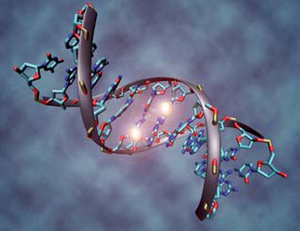 Our DNA encodes the appearance and behavior of our cells. However, there is a multitude of additional layers of control that regulate the ways in which the DNA is packed and processed and thus determine the fate of the cell. Computer scientists at the Max Planck Institute for Informatics contribute to deciphering this second, epigenetic code in order to foster the molecular understanding of development and disease and in the long term to improve cancer therapies. The 3 billion letter code known as the human genome comprises the blueprint for the molecular building blocks of life. There exists a large variety of different tissues in the human body, all of whose cells share the same genome but run individual genetic programs. The epigenome provides a code for the operation of these programs: DNA does not float around naked in the cell‘s nucleus, but is packed more or less tightly around molecular scaffolds (chromatin). The density of this packing controls how accessible the DNA is to the molecules reading off the genomic information. This packing is controlled by chemical modifications to the DNA itself (methylation) or the histoneproteins which comprise the scaffold. Consequently, epigenetics plays an important role in orchestrating the entire organism: Complex tissue structures can arise only if, after countless cell divisions, each cell follows its program, which is configured by the accessible regions in the genome. In cancer cells, this packing is highly deregulated: Programs that contribute to the cell‘s self-regulation – e.g., by programmed cell death (apoptosis) if cellular programs malfunction – are shut down, while programs that induce chaos in the structure of the DNA by reorganizing the genome become active. The first step in finding a remedy is understanding the problem. Following this principle, and in close collaboration with life scientists, computer scientists at the Max Planck Institute for Informatics develop methods for understanding the complex interplay of regulatory layers. Modern experimental techniques allow for charting comprehensive maps of the epigenetic modifications at affordable costs. A major bioinformatics challenge is dealing with and integrating the resulting heterogeneous flood of data. At the Max Planck Institute for Informatics, statistical methods are employed and developed in order to infer the interplay of genomic and epigenomic features. Several web services have been developed supporting the analysis of epigenomic data. One of them, EpiExplorer, facilitates an integrative view and interactive exploration of genomic and epigenomic features based on technology that has been developed to search for information in the World Wide Web. By using computational methods, it is possible to compare epigenomic profiles of tumor and healthy tissues and thus to identify cancer-specific aberrations. Moreover, tumors are not at all alike: While one tumor type might grow by being extraordinarily efficient in replicating, another might succeed especially well in evading the human immune response. These characteristics are reflected in the tumors‘ epigenomes. Different tumor types can be characterized by their epigenetic differences via statistical learning methods. In the future, these findings will have a significant effect on selecting effective therapies on a patientspecific basis. The key phrase here is personalized medicine: Clinical assays will be able to identify epigenetic signatures of tumors for individual patients. Using these signatures enables clinicians to prescribe more personalized treatments.